I would be lying if I said there was anything I ate for dinner more than sweet potato. Our household must go through 1-2 kilos of sweet potato per week. We went to a friend’s house for lunch last weekend who pointed to a potato – my 3 year old didn’t know what it was but could pick a sweet potato from a mile off! 1 sweet potato – whatever size you feel hungry enough to eat! heat oven to 180-200 degrees Celsius. You know your oven better than me! Pop under the grill for about 5 minutes & then it’s ready to eat. 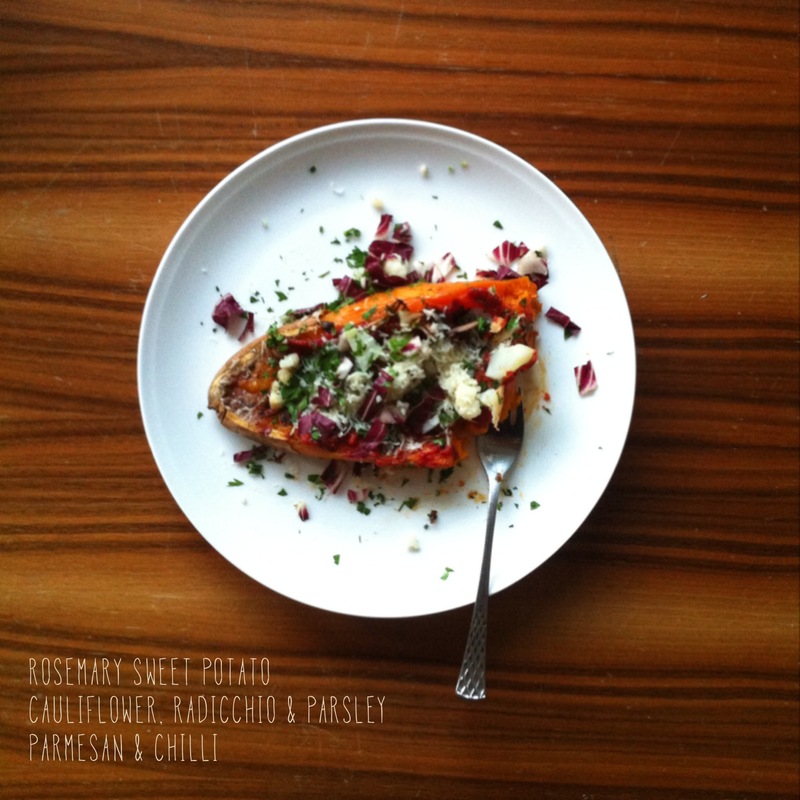 This entry was posted in Nutrition, Recipe and tagged chilli, dairyfree, glutenfree, iqs, parmesan, parsley, radicchio, sugarfree, sweetpotato, vegetarian by 6 Clean Ingredients. Bookmark the permalink.